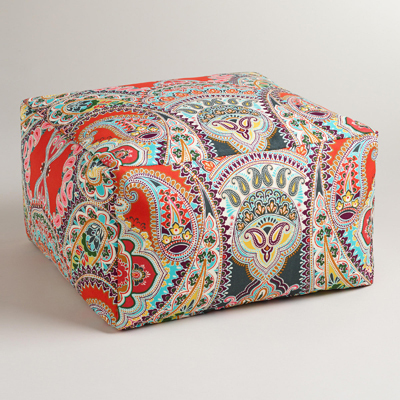 Stay stylish with the Warm Venice Paisley Outdoor Ottoman, designed with a fun printed pattern and a plush feel. Adding a splash of color to your patio or poolside at an affordable price, it’s great extra seating for welcoming your guests. $79.99 Sale $55.99. Buy here.